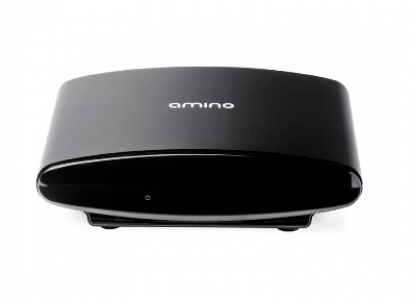 The Amino A150 is a cost effective dual core HD IP STB. The new A150 IPTV set-top box combines all the quality you have come to expect from Amino with a raft of exciting and innovative new features that deliver enhanced user experiences. With a dual core Broadcom SoC delivering more than 2000 DMIPS – and up to 1GB of memory. Deployable and maintainable in large scale using mutlicast to upgrade and control groups of boxes. The A150 is fully aligned with all Amino ecosystem partners and the latest digital rights management developments and Verimatrix CA compliance.